I haven't made anything I can share since my last post, but I can share what I've been buying. 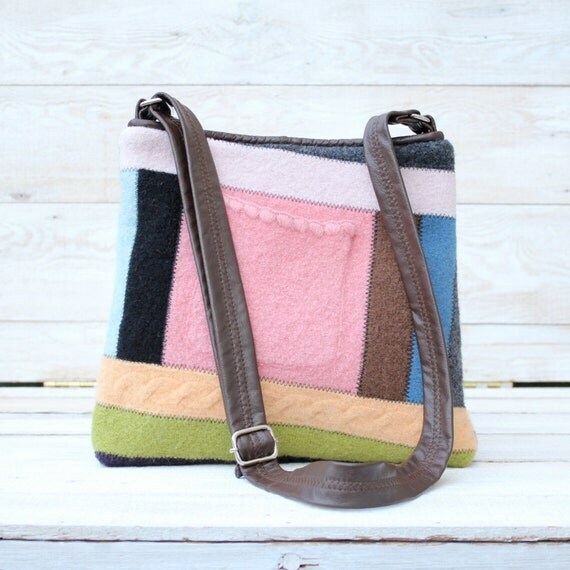 This beautiful bag made from recycled and upcycled sweaters, it's from one of my favourite Etsy shops Karen Meyers. I'm so pleased with my purchase, you can check out the shop HERE and what's more Karen is making room for new stock so there's 30-50% off some great bags, pouches and hats. Oh, this looks adorable! I love the colours!